Children in care will suffer more than other youngsters from the abolition of Child Trust Funds, a think-tank says. Young people in care have to establish an independent life earlier than others and so the nest egg would prove useful, the Institute for Public Policy Research (IPPR) said. Government payments into the funds will end entirely in January, as part of the coalition's austerity measures. It is setting up a tax-free savings programme as a partial replacement. Before May, parents of newborns received a minimum £250 voucher to invest for their children, who had access to the money from the age of 18. A further payment was made when the child reached the age of seven. But these payments were reduced sharply in August, and the payments will end entirely from January, in order to save the government £320m this year, and £500m in future years. The government said this was one of the tough decisions it had to make to cut the deficit. The IPPR called for the Fund to be saved for tens of thousands of children in care, who had been awarded a £100 top-up under the previous system. "Although we understand the pressure on the government to make savings, we think axing the Child Trust Fund is a mistake. 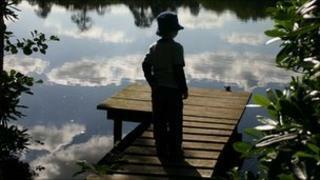 We are especially concerned about the impact on children in care," said Nick Pearce, director of the IPPR. "The cost to the taxpayer is tiny, while the small amount of savings that the Child Trust Fund would give to teenagers in the care system could make a significant difference to their lives." He said these Funds would help youngsters cover costs when going to college, take driving lessons, or pay for a deposit on their first rented flat. In a recent Commons debate, the Economic Secretary to the Treasury, Justine Greening, explained why these cuts had been made. "We recognise that looked-after children need to have additional support, and certainly in England we will be looking at how we can ensure that that happens," she said. "Ultimately, however, we just did not believe that continuing to pay the £100 top-ups to looked-after children would be the most effective way of providing that support, given the broader pressures that we faced in relation to public services and ensuring that we tackled the deficit. "We are passionate about tackling disadvantage, including for looked-after children, and we want to provide that support, but as a government, we just do not think that the Child Trust Fund is the best way to do that. Those children, including looked-after children, need support now, rather than having it locked away until they are 18." In place of the Funds, the government wants to introduce straightforward, tax-free Junior Individual Savings Accounts (Isas) which will lock in funds until the child reaches adulthood. But, unlike Child Trust Funds, there will be no government contributions into each child's savings pot. But this was inappropriate for children in care, the IPPR said. "The junior Isa account that the government is considering as a replacement for the Child Trust Fund will not help children who do not have a parent to save for their future," Mr Peace said.